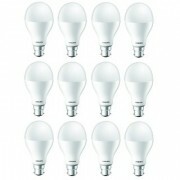 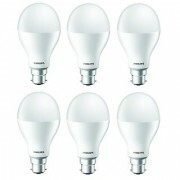 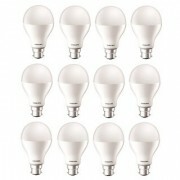 Warning: prices, links and product specifications for Philips Stellar Bright 17W LED Bulb 6500K (Cool Day Light) - Pack of 12 are submitted by our listed stores. 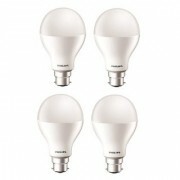 Please notify us if you find any errors. 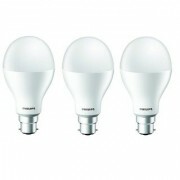 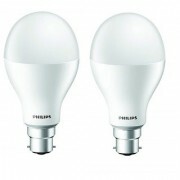 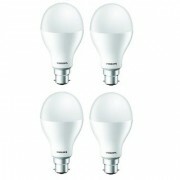 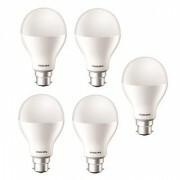 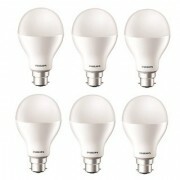 Find the best deals for Philips Stellar Bright 17W LED Bulb 6500K (Cool Day Light) - Pack of 12 and compare lighting offers from hundreds of online stores delivering in Bangalore (Bengalûru), Madras (Chennai), Delhi (Dilli), Jaipur, Calcutta (Kolkata), Bombay (Mumbai) and all over India. 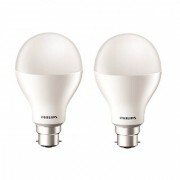 With ShopMania you can find the most convenient Philips Stellar Bright 17W LED Bulb 6500K (Cool Day Light) - Pack of 12 prices in the market and be the first to learn about all the available sales and product discounts. 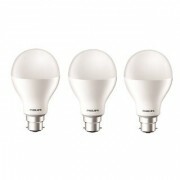 Read our users review and comments, browse the Philips Stellar Bright 17W LED Bulb 6500K (Cool Day Light) - Pack of 12 photos and see all the product features and specifications.